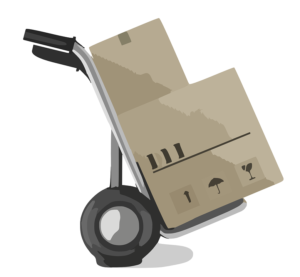 On the Move offers packing and unpacking services that are customized to your needs. If you need the whole house packed up from top to bottom – or – if you just need peace of mind that a professional has loaded your fragile items like kitchenware and vases, we’ve got you covered. Packing a whole house can take our crew about a day (possibly two depending on the amount), we will use the best methods and packaging for your belongings, and it really takes a big bite out of the stress of moving. While most people are very particular about where their items are put away, we do offer unpacking services as well. If you just want to get moved in and move on with life, rearranging and tweaking after the fact, this is a great choice to add on. Sometimes things come up where the stars don’t align, and your “move out” date ends up being significantly earlier than your new home’s “move in” date. Sometimes, you don’t even have your new home chosen, or even fully built before you have to be out of your old home. This can be a panic button moment for many folks, you can’t just have your whole house worth of things dropped off somewhere while you wait – or can you? On the Move offers temporary storage of your household goods as needed, so you don’t need to worry about what’s going to happen if closings or agreements aren’t made in time to have a straight move out/move in situation. On the Move is here to serve at every level – including those who want to DIY their packing and moving. We offer everything you need to pack for a move or storage, including specialty boxes, packing paper, bubble wrap, tape, protective blankets, and more, all at competitive prices. We can even deliver them to your door. 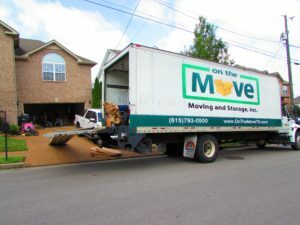 On the Move truly is your full service moving partner, and we look forward to working with you! Call us at (615)793-0050 or contact us via our web form for more information and a free quote today!